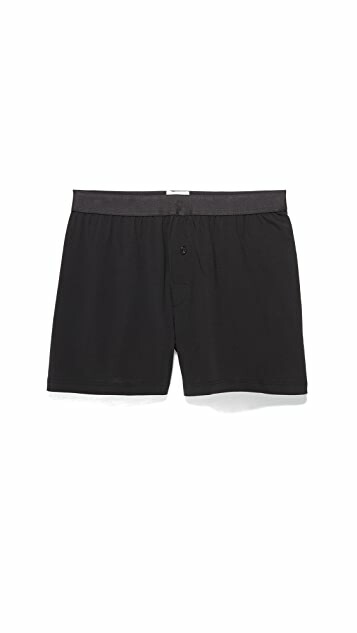 Lightweight Sunspel boxer shorts in soft jersey. 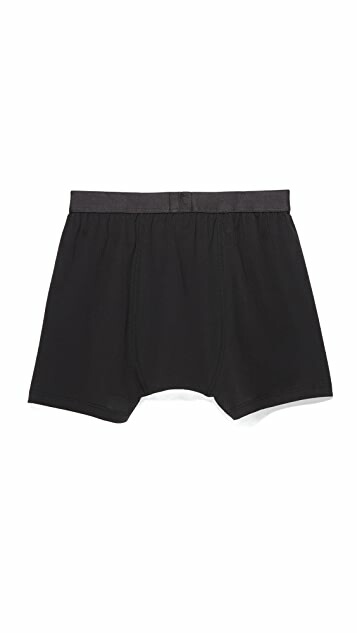 Exposed elastic waistband. Button fly.